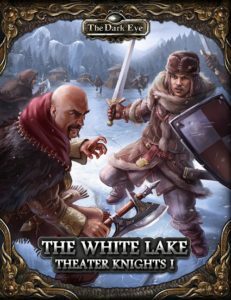 Ulisses Spiele always likes to close out the year with some great digital sales, and this year we are including many of our English-language products! 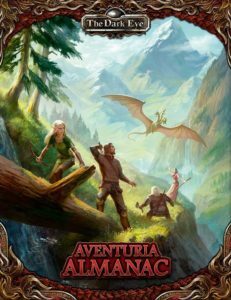 Right now and through tomorrow (December 7th), you can get The Dark Eye Core Rules and the Aventuria Almanac for 50% off! 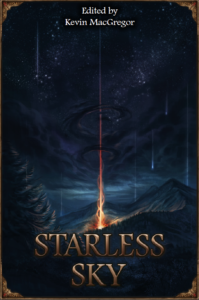 Also, the excellent fiction anthology Starless Sky is available for only $2.99! Also, starting tomorrow and through December 14th, you can get adventures at a deep discount. 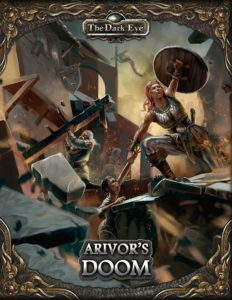 Our full-sized adventures like Arivor’s Doom and The White Lake will be 50% off, and you’ll be able to get our Heroic Works adventures like Emperor of Thieves and The Thorwal Drum for only 99 cents each! We’ll have more sales across other products lines, so look for announcements in the coming weeks! 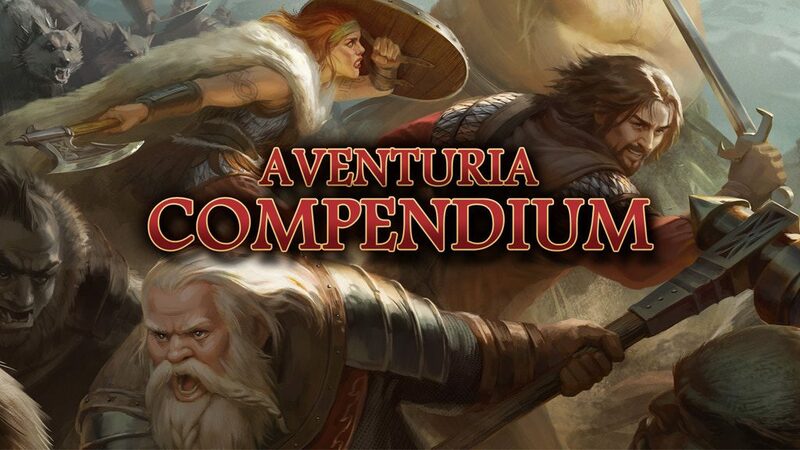 The Aventuria Compendium Kickstarter is also closing this week! If you haven’t checked it out already, you have just over two days left to get on top of it. We’re counting down the final hours! Get in on the Compendium Kickstarter right away! Hello, unfortunately I just came across your website and missed the 50% off sale on the Core and Almanac Books. This past week I decided to unplug from my years on/off of MMORPG, so many people I’ve met over the years have stopped playing – perhaps ‘burnout’ like me. Every expansion seems to more of the same, after years of playing. 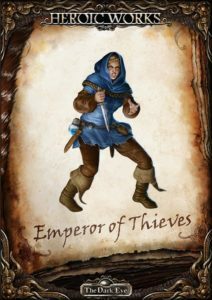 What attracts me to RPG board games is the ‘social element’ – sitting around with ‘real people’ sharing an adventure and good times – rather than a computer game avatar. I’ve investigated this past week several: D&D5e, Pathfinder, Starfinder and yours The Dark Eye’. 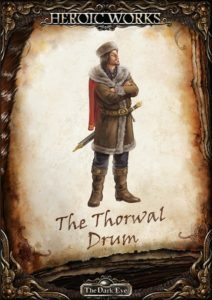 I think what attracts me to TDE is the ‘lore’ character background/history, and depth of world – beyond the typical create, roll dice, level, repeat. However, it appears that TDE is relatively unknown – visiting various game stores and talking with people at book stores etc…. Shelves have various books and starter kits for the games I listed above, except nothing for TDE. I found a store tonight that has weekly D&D5e games, but owner was unaware of TDE (interesting for a person who has played DnD style games for over 15yrs, according to him) so it appears that TDE that has experienced acclaimed status in Germany etc – is still “a best kept secret” here in the USA. The owner mentioned above offered space and time to start a weekly game – which I would be interested in doing – helping spread the word and growing the presence of TDE here in America. Look forward to any information you can provide. 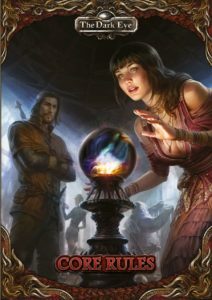 The Core Rules and Almanac are the best places to start if you are interested in the lore. Digest-sized copies of the Core Rules are currently on backorder in many places, but hopefully we’ll get those restocked soon. I don’t think we’ll be having a sale like this one anytime soon, but send me an email at feedback (at) ulissesnorthamerica (dot) com and I will help you with some supplemental materials to get you started running games. Also, in the coming months, we’ll have more information about a product we’re developing to support people doing exactly what you’re doing!